Not too long ago I discovered Redmatica Autosampler 2 for the Mac and I have to say it’s been the greatest piece of software I’ve ever used and still use now. Currently I’m running Redmatica Autosampler 2 on Mac OSX Lion with an FA-66 Edirol Firewire Device attached and it autosamples both hardware and software instruments with near perfection. Unfortunately the company Redmatica was bought out by Apple and the software is no longer available. Although there are rumors it may be integrated into a future release of Logic Pro. There is another fantastic program too in the Redmatica product line called Keymap Pro 2 which I don’t happen to have but I wish I did. My fingers are crossed that I can find it someday real soon. Basically with Redmatica Autosampler 2, you can autosample sounds up 128 patches to be exact all while sitting back sipping on a cup of coffee. Of course you have to get your preset or template settings right, but once you’ve got that configured, you’re set. The patches are then exported to a variety of formats of which I primarily use ESX24. From there I use Chicken Systems Translator 6 for Mac to convert the ESX24 patches to Akai S5000. From there I can load these into my MPC4000, MV8000, etc for playing. There is no direct export to SF2 or Akai format, but with ESX24 and a number of converters out there, this is not an issue. Right now I have Emulator X3 connected by midi/audio to the FA-66 Firewire Audio Capture Device which is connected to my MacBook Pro running Redmatica Autosampler 2. I then usually have to lower the volume a slight bit on the PC because Redmatica Autosampler 2 triggers samples at a pretty high velociy/volume which can slight distortion. This is completely removed if you lower the volume a tad bit. I also AutoSample using dry samples and then later do my tweaks on my MPC4000 or hardware of choice. Of course one can sample how they like, but I find dry sampling to get excellent results. 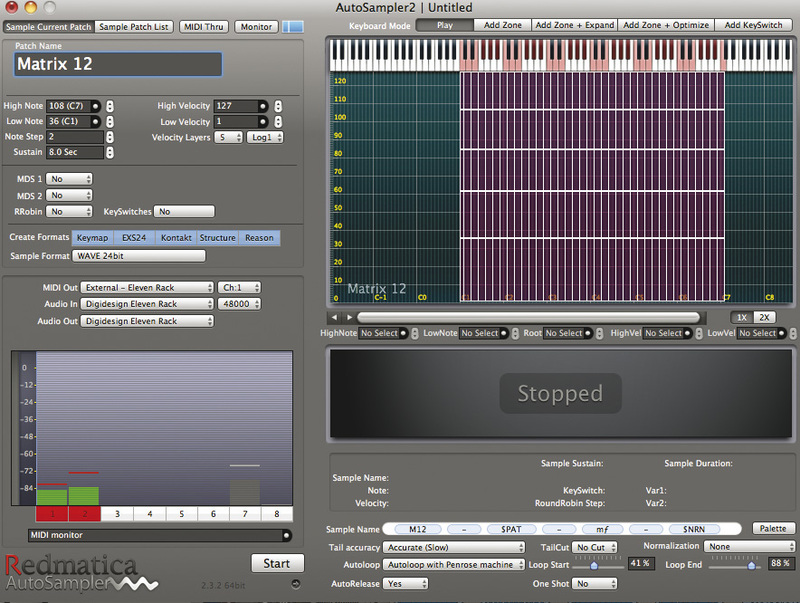 With Redmatica Autosampler 2 you can adjust sustain, autoloop, and auto name your Wav files. It’s simply fantastic at how well the software works. It took me about 15 minutes to AutoSample an entire 128 patch bank of an old E-MU Proteus Sample set which I then had running on my MPC4000 connected to my Roland A90EX controller. This was WAAAAAY faster and MUUUUUCH more accurate than using any converting software out there and building the patches manually. Redmatica Autosampler 2 is THE BEST option out there, but unfortunately again it is no longer an option at the moment due to the closing of Redmatica. Are there alternatives? I’m not sure, but I’ll post an update if I find any that work as well as Redmatica Autosampler 2. 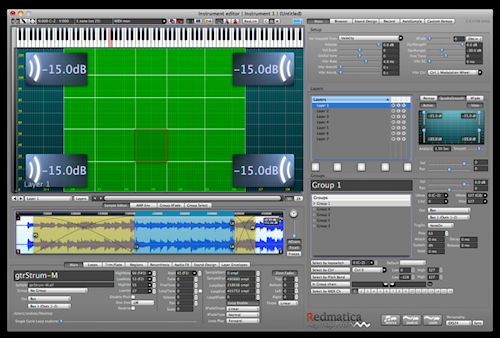 If I can find an old copy of Redmatica Keymap Pro 2 to purchase, I’ll certainly post more info about that as well. I hear KMP Pro 2 ( Redmatica Keymap Pro 2 ) is very good too, although I don’t have any experience with it. Redmatica Autosampler 2 works well as is and does what I need to do for my sample projects, but it would be nice to checkout Keymap Pro 2 one of these days. Here is a video of Redmatica AutoSampler 2 in action. Yesterday I found a really cheap sound card at the used music shop here in Nagano-city, Japan. 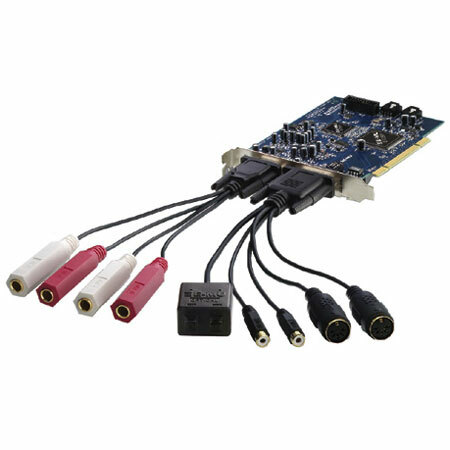 The sound card is an E-MU 0404 PCI Sound Card and it came with an E-MU Emulator X2 Sampler Software Disk. Everything installed flawlessy into my Windows 7 PC and I must say it’s a fantastic combo to work with. How I primarily use it right now is to create multi-samples for my Roland Fantom X7 Keyboard and then transfer those sounds to the Roland S-50 12bit sampler. I basically audition samples using the X2 software. When I find what I like I then fire up Extreme Sample Converter and record a multi-sample automatically using the VST/Hardware recording function. I set my key splits, velocity layers, release, etc. and Extreme Sample Converter does the rest. I then take that mult-sample program and convert it instantly into Akai S5000 format which I then import into Nexoe’s YASE for the Fantom X and G series keyboards. After importing the Akai S5000 sample into the Fantom X7 I have a perfect multi-sample of what I played in the Emulator X2 software. From there I can load up the same multi-sample and play it on my Fantom XR rack which is then connected to my Roland S-50. The S-50 samples in the multi-sample kit and I can then get that 12bit lo-fi sound beautifully and almost instantly. It’s incredibly easy and fast. The possibilities are unlimited with sampling sounds into the Fantom X series keyboards as I find their import ability to be very simple, especially when using Nexoe YASE. The Emulator X2 software and E-MU 0404 PCI sound card make it incredibly easy to audition and tweak sounds. Plus you can import your own sounds and create some sophisticated multi-sample programs which can then be converted using Extreme Sample Converter. I usually use ESC to record VST sample libraries to the Roland Fantom X and on over to the Roland S-series samplers. It’s just easier that way than doing all these S-Series sample conversions. In Japan, E-MU sound cards can be expensive and difficult to find. I lucked out in finding the 0404 PCI and it really works and sounds fantastic. Check them out if you can! UPDATE #1: I just bought and downloaded these E-MU Emulator X2 video tutorials at http://www.emulatorxone.com/emulator_x_video_tutorial/emulator_x_video_tutorial.htm . They are really helpful and have helped me to understand the inner workings and programming of the Emulator X2 much faster. I highly recommend these video tutorials if the Emulator X is new to you. So far I’ve really enjoyed the Emulator X2 for creating multisamples for my hardware keyboards. It’s really great for that. The SCSI Card Reader works very well and I have it currently set to SCSI 0. I have also removed the original Floppy Drive and have not needed to use a Floppy since the removal. I also have attached a made in Japan I-O Data CD-RW Drive to SCSI ID 4. This also works excellent for loading up Sample CDs. I found Akai and of course Yamaha CDs to load up well. EMU CDs are difficult and I first need to convert them to Akai format to work. I have had this Sampler since 1998 or 1999 and really didn’t find much use for it at the time although it was very popular to have here in Japan. I found a great deal on a used A3000 V2 and had to pick one up. Adding the CF Card Reader and finding an effective CD-Rom drive have really opened doors now with the Sampler and I’m finding some renewed interest with it. I particularly like the framework of Partitions, Volumes, Banks, and Samples when working with the A3000. The effects or reasonably good and I find the memory to be ample when working with Multisamples especially with Synth and Drum sounds. For straight up piano and rhodes sounds I continue to use my Fantom XR or Yamaha ES Samplers. I think for Analog Synth Emulations for example, the Yamaha A3000 works very well. Sonically it’s pretty powerful and easy to trigger. I started out using the popular software bZone 1.0 for editing programs, banks, and samples on the A3000. I also used Adisky for importing Wav files and creating Yamaha A3000 CD-Roms. These programs were installed and running on my trusty old Windows 98 computer which works great. I was able to setup everything and it ran “reasonably” well, but ultimately the setup had too many bugs and froze on me way to much to really get anything done on the Yamaha A3000. SCSI on the A3000 is slow, but my goodness nothing is slower than buggy software and frozen computers. So I researched other solutions and found an alternative that works far better “for me”. Basically now, I use Extreme Sample Converter (ESC) to convert other format Sample CDs such EMU into Akai format. I then use Translator to import the converted Akai files and create an Akai Disk Image. Nero is then used to burn an Akai S1000/S2000 disk to later import into the A3000. It works very well! I then simply do my editing on the Yamaha A3000 itself because quite frankly it’s faster than using any software editor solution I’ve found. When I say faster I also mean it’s 100% bug free and never freezes. I also use Awave for identifying the Root Notes, Pitch Values, and Key Ranges of the original patches from other Sample CDs as well for reference. It works great. I also use ESC ( Extreme Sample Converter ) to audition sounds directly from the computer. When I find EMU sample programs I want, I simply create a new custom Akai converted disk. So, using the computer to audition multisamples and find what’s worth tweaking on the A3000 saves time as well. Unfortunately there is no “all in one” software solution. ESC is good for auditioning and converting between formats. Translator is good for burning to a particular CD-Rom Format. Awave is good at providing quick details of how a multisample is mapped, plus it provides great tools for resampling if required. Below are some brief notes of how I import various program/voice files such as Akai, Roland, and EMU into the Yamaha A3000 V2 Sampler. Importing EMU Disks of all kinds. 1. Load EMU III Disk into Extreme Sampler Converter. 2. Create an Akai S1000/S2000 Virtual Disk in Translator and add the presets From ESC. 3. Burn the Akai img to CD-Rom with Nero. 4. Turn on your Yamaha A3000 and load up the CD-Rom. It should show you the Partitions and you can select the programs from within. 5. Import the programs/voices you would like which will import the samples into banks and map them. c) Pitch adjustment occasionally. I turn fine to “0” and adjust coarse as needed. d) Loop Points may need to be adjust on a sample or two. It’s easy actually and off only by a fraction. 6. Add 1-3 effect blocks depending on what you think the multsample needs. I usually add EQ first. 7. Save the Program to a partition/volume on your CF Card. Importing Akai Disks of all kinds. I find “unlike” with EMU disks, I can pretty much import Akai disks without any problems. If I do encounter a problem, I just run through the steps I wrote above. Importing Akai disks into the Yamaha A3000 V2 is pretty easy and trouble free. Note that if you “convert” from another format to Akai it can cause more problems such as with EMU to Akai as mentioned above. With WAV files I found burning them into Akai format to work the best. I could import them into a bank very quickly in bulk and then assign key ranges on the A3000. It found it to be very fast and effective. Way better than bZone … waaay better!! I know there are other Sampler Hardware Solutions out there. I also have a Roland W-30, S-330, S-760 Sp-606, Sp-808, and Fantom XR Samplers. Plus I have a couple of Korg Triton and even a Yamaha RS7000. I primarily am into MultiSample hardware units rather than loop phrase samplers though. I find the Yamaha A3000 pretty intuitive, easy, and fun sampler to work with ONCE you figure out your own best workflow. For me, I think using the conversion software packages out there along with good ole’ fashion manual button programing to work very well with the Yamaha A3000. I’ll update this article with more info as I dive in further to the Yamaha A3000 V2. Auto Sampling VSTi and Hardware Synths the easy way. Recently, sampling is becoming a very popular art form in music. Whether you are using a popular software sampler such as Native Instruments Kontakt or a hardware workstation such the the new Yamaha Motif XF, there is a growing trend to sample new sounds for your instrument of choice. After spending a fair amount of time using conversion programs such as Awave, CDXtract, Translator, etc. to convert from one sound format to another, I stumbled upon the concept of sampling VSTi soundsets directly to create one’s own multisamples. Well, they are not exactly my own as I am sampling another soundset, but the multisample itself is something I have been programming into my hardware synths such as the Roland Fantom-XR and Xa. I also have a Yamaha A3000, Roland S-760, W-30, and S-330 hardware samplers. Hopefully soon, I’ll be jumping on the Yamaha Motif XF wagon and with that you get a whopping 2GB of Flash memory. 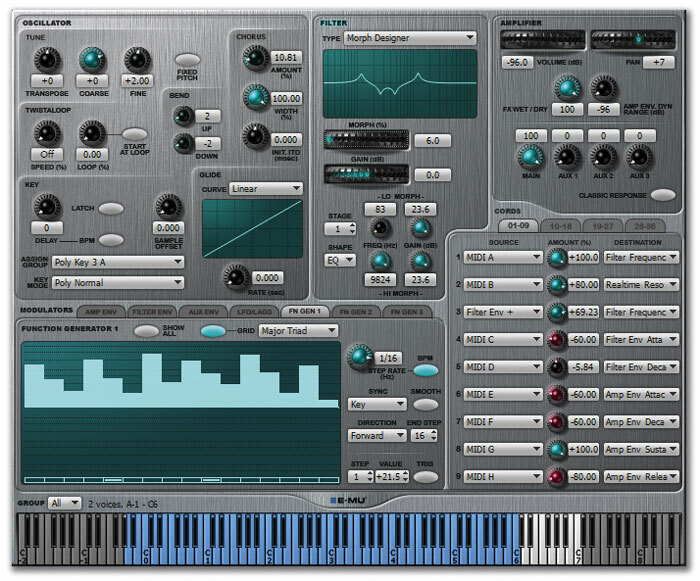 I recently purchased Nexoe’s YASE for the Roland Fantom-XR to import samples and create multisample patches. This lead me to trying out Nexoe’s RESAMPLE to sample patches from NI’s Kontakt because I couldn’t extract the WAV files very well. Unfortunately, RESAMPLE wouldn’t allow me to test fully in demo mode. Quickly one will find out that many of these auto sample VSTi applications are quite expensive. So, I went on to the next offering which was Extranslator’s Extreme Sample Converter. I was successfully able to sample “beautifully” 4 velocity layers with different zones across the keyboard. It was very fast and accurate. I was then able to select all the wav files at once and auto loop them. I then exported to AKAI S5000 format (Nexoe YASE imports this format into the XR easily) and opened them later in Sony’s Soundforge 8. Within Soundforge, I was able to trim the excess fat outside the loop points and work a fade in to eliminate any pops at the beginning. Flawless! I then opened up Nexoe’s YASE and imported the AKAI S5000 formatted file and instantly created a new patch and multisample for the Fantom-XR. In addition, the loop points and root keys were fully intact. I then saved the file to my CF card and loaded it up in the Fantom-XR. The sound and quality was practically perfect. I couldn’t believe how simple it was using Nexoe’s YASE, Extreme Sample Converter, and Sony Sound Forge 8 to grab an NI Kontakt patch and dump it to the Roland Fantom-XR. In fact, Extreme Sample Converter allows you to load up just about any Software VSTi and start auto sampling patches galore!! You can sample any number of keys but there is a limit of only 4 velocity layers which is fine. Auto loop points in single or batch mode is also supported. Sampling sounds from other VSTi and Hardware Intruments allows you to greatly increase the number of sounds you can work with away from the computer on stage. The technology is here and I can only see it getting more popular. With the release of the new Yamaha Motif XF series keyboards, you can now place your newly created multisampled patches into flash memory effectively eliminating the loading wait times. My Roland Fantom-XR is not bad though with a 15 minute or less wait at 512MB, but I’m sure Korg, Roland, and other vendors will soon have flash memory options for their newer workstations and synths. So what’s the best software for auto sampling your hardware synths and/or VSTi software synths? I really can’t answer that yet, but for now I’m sticking with Extreme Sample Converter for sampling VSTi soundsets to be imported into the Roland Fantom X. It works fantastic and the price is reasonable at around $100 USD. I did glance at the other options I have listed below, but they are either redundant in features compared to Extreme Sample Converter, much more expensive, or in some cases lacking in necessary features. What do you use for sampling your VSTi’s and Hardware keyboards? Any recommendations are greatly appreciated. I am amazed at how fast and easy it is (once you know what you’re doing) to auto sample any VSTi patch and import it into your synth or workstation of choice. WOW! A whole new dimension has been added to creating and adding fresh sounds to your instrument. Here is a list of probably the most well known auto sampling VSTi and hardware synth applications. There may be others, but at the time of this posting, I was only able to find these below. Feel free to comment if you find others or wish to share your experiences. Thanks!! UPDATE: I contacted the developer (Wlodzimierz Grabowski) of Extreme Sample Converter today (12/16/2010) and he replied within an hour of my message. I inquired about the future development and support of Extreme Sample Converter. His reply was “New versions are under development and supported all the time.” Thus it appears that Mr. Wlodzimierz Grabowski is still working on and supporting Extreme Sample Converter despite the last news date of 11/10/2009. His website hints at a new version 4 which would be exciting if released in the near future.